After the overwhelming success of Pop-Up Magazine. 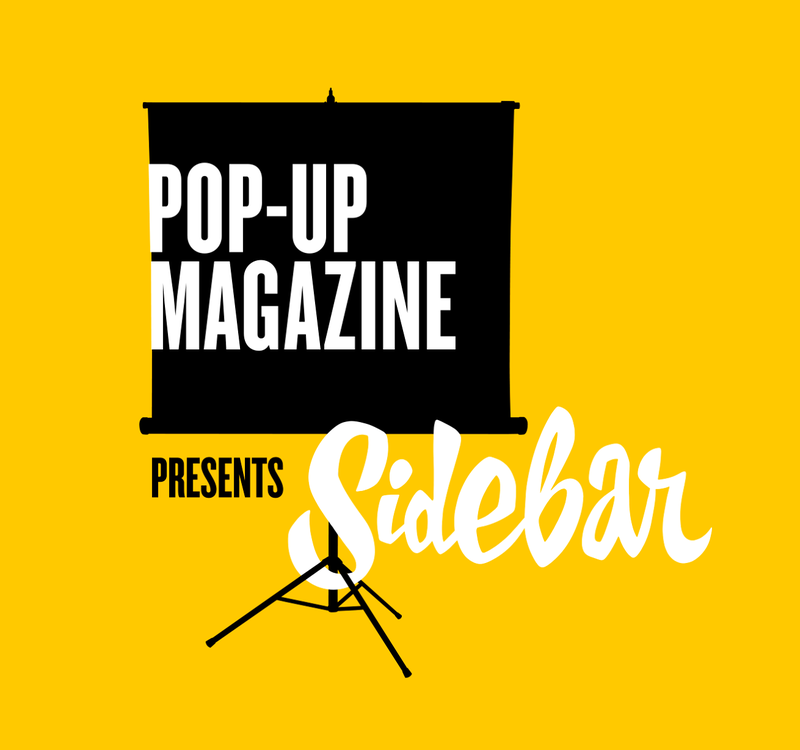 The team behind Pop-Up launched a new live show called Sidebar. This smaller more intimate show features a film, photography, a story, a band, and drinks at the bar. The logotype reflects the energy and realness pertaining to the format of the hour long program.